Usually ships within 4 - 5 days . Manager25-9 -- Offex Stores Rolled Items Up to 24" In Length. The economical solution for organizing plans, maps graphics and all other rolled items in office or permanent storage. 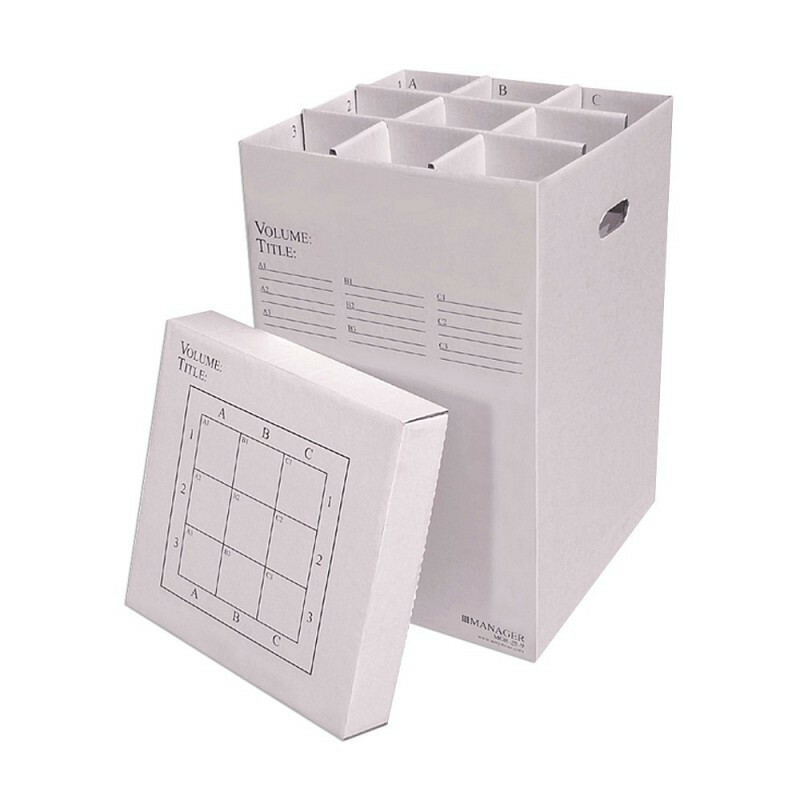 Ideal to manage documents from 11"x17" to 24"x36". Durable with exceptional stacking strength. Attractive corrugated cardboard with reinforced bottom. Gray lettering on white background. Side handles with identification labels on interior and exterior. 9 slots @ 5.25"x5.25". Overall size is 16"x16"x25".